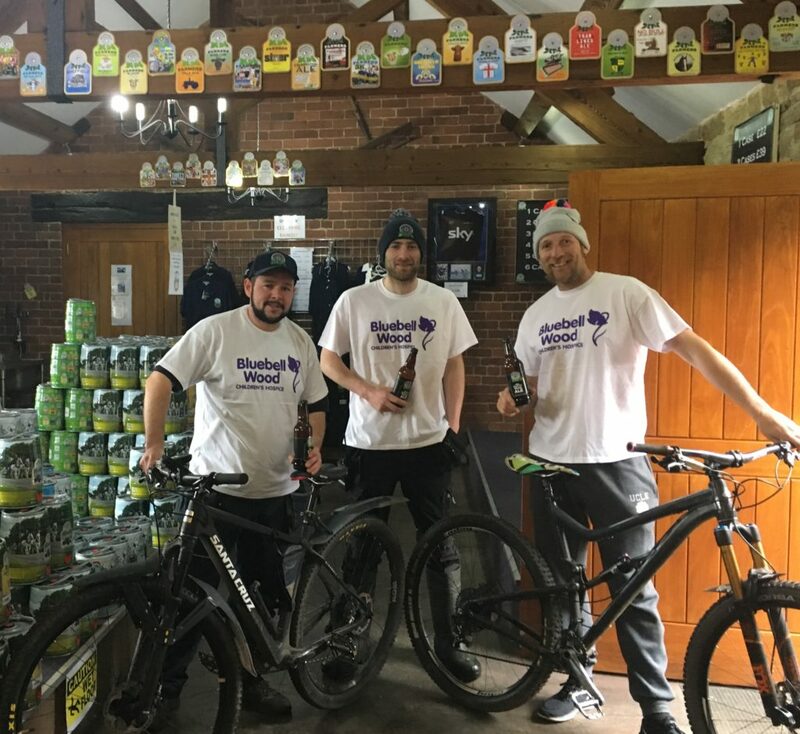 The Team Ale Trailers, made up of 8 men with mixed cycling ability, are set to complete the Coast to Coast Trans Pennine Trail over 3 days – 216 miles of track, mud and hills stretching from Southport to Hornsea. Taking on the challenge to fundraise for chosen charity BlueBell Wood Children’s Hospice, the team will depart from Southport on Wednesday 16th May, finishing their first day at Hadfield. Day 2 will be a 75mile stretch from Hadfield to Selby and then the final leg will be 55 miles cruising home to Hornsea! Amongst the team is Downhill World Champion winner, Steve Peat – one of the most successful downhill riders ever – Steve will be encouraging adventurous cycling when it comes to descending the hills of the trail – he may not be so adventurous climbing back up them though! Cask Ale Brewers Richard Gill and Sam Jubb from Sheffield based Bradfield Brewery are joining the line up and have been given the important task of bringing the evening refreshments! May is a big month for cyclists – with Tour De Yorkshire the talk of the region, it spurred the boys on complete the trail, and to raise money for charity by getting in the saddle and taking on a challenge! Steve will be taking a break from training this weekend to take part in Peaty’s Steel City Downhill event which takes place this Saturday (5th May 2018). ‘The biggest little race in the world’ is back for the 8th time, bringing the atmosphere of a world cup race to Sheffield’s Grenoside Woods. Featuring 200 races, the event is a ‘must see’ for all mountain biking enthusiasts, where the thrill of a downhill will see competitors racing for top speed! Riders will have chance to practice during the morning, with the first race starting at 12noon.